I got this one! I know right away! Red, Yellow, and Blue! Well maybe Pink,Soft Green and Yellow! Oh I just can’t decide! I love all colors!!!!!! I have always loved purple, red, orange dark blue and yellow together. It reminds me of a sunset. Or maybe a sunrise. Either way I love them! you are so stinken clever. Has to be red,black and white. Love your pattern for today. Thanks so much for sharing. I love the combination of aqua, chocolate brown, and white. Always have, always will. what cute bags! really and truly cute!! I just love this fabric line!!! And in all of the colorways. Oh easy peasy, PINK, white and PINK and more PINK!!! Blue, blue and blue. Not very creative but I’m new at being a crafty gal. Love Holiday Happy! My two favorite colors are black and purple. But I don’t quilt alot with those two. I love civil war reproduction fabrics so I have to say different shades of red, brown, green and blue makes me happy. How great those would be for some sweet little girls. I love warm colors together. Red, orange, and yellow. Pale green, blue & purple! I am loving red, pink and aqua with some limey green! The bags are so cute. Colors I like together are teal and lime. Okay, 3 colours I like together - only 3, really??? How about teal (turquoise), orange and gold. Of course they have to be the right kind of teal, orange and gold or it looks hideous! Thanks for the opportunity to win - haven’t seen this fabric in Canada yet. i don’t know that i have a favorite color combination - i love so many! but i just pieced a back for a quilt, and i used kona plum with far far away ii’s goldish orange pattern, and i LOVED that. like, loved it loved it. so right now i’d say plum and gold. Since I mostly like pastels, pink, light green and pale blue are my favorites. However, if I ever meet Mr. Right, I plan to use periwinkle, sage green and light plum for my wedding colors. 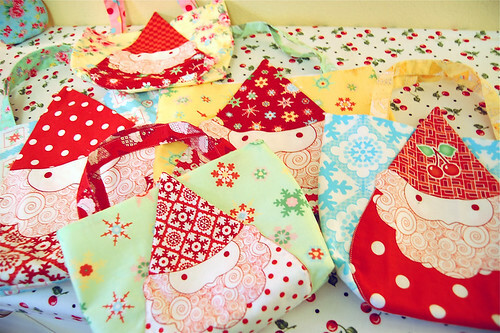 Ooops - forgot to say Thank You Monica for the great tutorial to make Gnoma Claus bags. 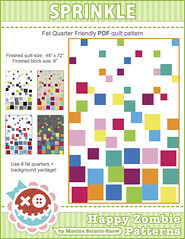 Can’t wait for my fabric to arrive - now I have TWO projects to do! So, so gnomalicious! The bags are adorable. Thanks for the tutorial. My favorite combo of all time is red and green, most often with creamy white. But I also love caramel and blue, and am really attracted to teal and brown (wore that to work today in fact! ), and coral and navy. Pretty much any complementary color combo I guess! Let’s see, how about orange, turquoise and grey! Love the bags! WOW I could actually finish a couple before Christmas too! My favorite colors together..right now I am in a turquoise and terra cotta phase…..or really any shade of orange and blue! 2 colors: blue and green. I think I’m in beach mode with this rainy, cold weather. YOU are so McCrafty it’s crazy!!!! I love me some red/torquoise (ok I can’t spell it)or just red red red. i love purple and lime or purple, lime and blue, like in the “Rock Candy” line of Diane Kappa’s Sweet Tooth. I love aqua, orange and brown. And aqua, navy and the right shade of green. I like aqua, chocolate brown and red. Thanks for the giveaway. I love bubble gum pink and neon green with perhaps a bit of yellow/orange thrown in. And your bags are very cute. You make them look so easy to make I’m thinking I could make a few with my granddaughter. She’s 10. Orange, pink & yellow. I made a winding ways quilt in a Reynola Pakusich class & named it Hareem. Needlesss to say my projest was very different form everyone else’s. 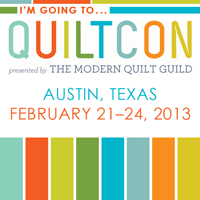 Ack–something else to make before the 25th! Really really cute project. I’m off to order fabric after answering your increasingly difficult question. I will have to say red, pink, and white. Possibly adding in a pinch of citrus (lime or orange). I love a bright yellow, light gray, white and black together. I’m picking blue and yellow, classic and cheerful! Thanks for the pattern! Yellow and blue with a little green added in. My favorites are red, green and tan. I like prim and earth colors, but I love to make fun quilts too for others. My favorite color is yellow, of course and I think red looks awesome with it. Also yellow and blue is fun. Very cute bags! My favourite colours are brights and I love Red, Pink, Orange and green together. You should submit this to Lecien’s Zakka Recipe on their website! I love green and purple together, as well as pink and brown. Red and purple go really well together too. Right now I’m loving green and turquoise. I’ve always been a fan of pink and a pretty brown is nice a well. Thanks for the cute give away. Since I have an over-abundance of greens in my stash, I probably should say something like green and purple. But I seem to be quite smitten with brown and aqua. Or brown, aqua, and pink. I guess I’m no good at making decisions. I love brown paired with just about anything and I’ve been on an orange kick for a while now. thanks for sharing your gnoma bags…loved them ever since you showed them last spring! my favorite colors (in quilts) are…red…pink…aqua…a softer (light) green…teal…beige…ok, i know these aren’t real colors, but: dark grey (charcoal) and white. Gnomalicious! My favorite color duo is pink & chocolate. Thanks for the Tutorial Monica… Um I dont think you can go past red/white, cornflower blue/white.. um anything 30’s colour and white.. If we are talking CW repro’s, pink, double pink and green and chocolate! Am I allowed to say 5 colours? Okay here goes: Orange, pink, yellow, and lime green and fuschia. Someday I’m going to make a quilt in those colours!! I love purple, silver and green together. These are also nice with a bit of brown or grey. Thanks fot the tutorial I love your panel and I am looking forward to using it in all the ways you have suggested. Right now I’m loving blue and orange. These are my favorite: red and white, brown and light blue, lime and fuccia. I’ve just discovered that I like red/blue combination. The blue color of your blog paired with red is just too cute. And your little gnome bags…adorable! I love these little Gnome Bags, and this whole line of fabric. They don’t carry anything like this in the quilt shops near me. And, as far as favorite colors, that is such a hard question to answer. I like the traditional red,white and blue combinations, but then I also go for the funky purple, lime green, white and black. And, it changes from day to day. I guess that is what keeps us going. So many choices….so little time! I love your gnoma bags - thanks for sharing the tutorial! Currently I guess my favorite color combo is patriotic red, blue and white. I am working on some QOV and have ‘re-discovered’ these colors. Thanks so much! Ah, I will be the boring one here, I’m sure. My faves together are cream, taupe and black. I can’t tell you why, but I just love them. The bags are adorable. You are so stinkin’ clever! Thank you thank you thank you Monica, for this too cute tutorial. Some more of your fabrics will be coming my way soon, so I can’t wait!!! I am so in awe of all you accomplish. And I love seeing your fabric all stitched up in so many charming ways. Favorite color combos? Oh… so many! I am a seasonal-climate-mood kind of gal, and so depending, I like: blue with green, and red with green, and aqua with red, and silver with aqua. I also like chips with dip, chocolate with nuts, and tamales with beans. 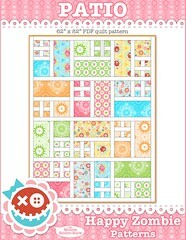 I’m never really happy unless there are at least 50 colors or prints in my quilts. I love your colors, all of them. I like a lot of different color combinations. Today, I’m into red and green for the holidays, of course. But other than holiday colors, I also like teal, orange, and brown. 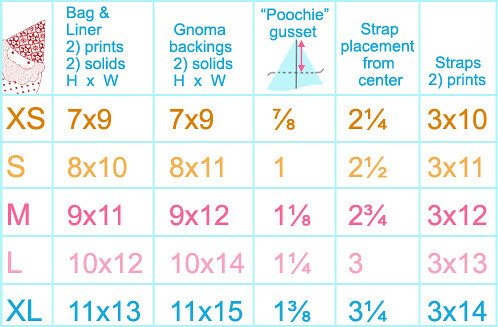 I was so inspired by your gnoma projects that I just ordered a panel! I started making the pot holders last night. They are coming out SO cute! First - THANK YOU - these bags are why I ordered the gnomas (the first time, lol). I did resize your great little bag in the fall magazine (needed them bigger to hold the giveaways for my niece’s 6th b-day party), but I didn’t want to try to figure out 5 sizes and your bags are always the cutest! Ok - fav colors - GREEN, GREEN, GREEN - as in olive, bright lime, leaf green. Followed by teal, turquiose, aqua. Can you tell when I love a color I tend to love it in all tones? I love orange, turquoise and white together! Love the gnome bags, so cute! My favorite go to colors are pinks, teals and purples. I love to make baby and little girl quilts. Gnoma Claus is adorable. Favorite color combos? Anything I can pair with pink (my daughter’s favorite hue), and the brighter and more fun the better! These bags are so cute. You nice of you to share. Oh and congrats to all the previous winners!!! Just wanted to pop in here and let you know that I think my e-mail is broken. Haven’t heard from you about my day 3 winnings yet. Oh. And very cute gnoma! Navy, white and green…or pink, green and yellow. So I had big plans to make adorable tee shirts with gnome…but 10 days in Kansas City for the Thanksgiving family blast has burst that bubble, these maybe the substitiue, thanks Monica! Your gnomes always make me smile! I would have to say that I am in love with aqua and red at the moment. Lime Green & Hot Pink are true neutrals in my world. Love those bags! Pink and orange are my current faves! I like three colors usually - love the bags and thanks for the tutorial! Cute bag! Perfect for one of the reusable bag challenges I saw online. I love aqua and deep purple. I’m still waiting for someone else to like it, too. I really love burnt orange, burgundy and slate blue together! I’m really into gray lately and there are some really pretty combinations with this color. I like green/gray and yellow/gray combinations. I also love pink and brown. Happy holidays! I’m loving red and sky blue these days. I would have to say, PRIMARY colors !!! Red Yellow Blue.. I am kinda funky with my crafts and I enjoy looking at things that are a little bold and daring. The things I have made look funny at first, but I always manage to pull them together ! 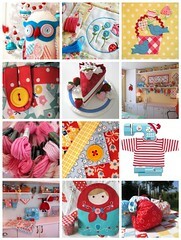 I love turquoise and red together (which is why I covet your craft room). I also love red and yellow together. 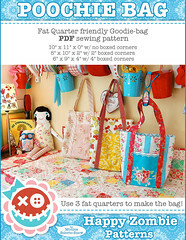 Cute cute bags…I’ve got to make some of those! OK this changes with the day/season/mood but right now I’m loving purple, green and oranges together. It’s hard to get the right tone/shades but when you do it’s lots of fun! I love blues, greens and tans together. Reminds me of the beach and makes me feel soothed and relaxed. 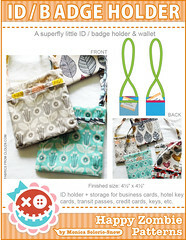 Love those bags - thanks for generously sharing your pattern! Purple and red and yellow and gray are my favorites right now. My favorite color is yellow. I think it goes with everything. I think my favorite 3 combo is yellow green and blue. I haven’t yet found a green I didn’t like and green pretty much goes with anything. Those bags are adorable! I like all colors! anything is beautiful. I have always been drawn to red, yellow and green. I know, it looks light a stop light. And of course, aqua, red and pink! My favorite colors seem to chance every once in a while. Right now my favorites are purple and blues and turquoise with a few shades of each. I am in a fall mood, so orange brown and red. White and medium blue. Clean and fresh. Currently, I am swooning over the combo of grey, yellow, red, and white. Or just grey and yellow. Or red. Thanks for the cute project! My three favorite colors together are red, yellow, and green. They just seem so warm and welcoming! I LOVE PINK + RED TOGETHER! So many awesome combinations to pick. Lately I really love pink, turquoise, yellow and lime green, I think it might have something to do with the fact that it’s November and it’s so dreary and gray outside. Thanks for the contest! Easy choice-red and aqua or red and green. If I have to add a third color to these I’d add some pink. That is so flippin’ CUTE!!! Right now my fav combo is purple, teal, orange and some kind of fabulous green…jewels for Christmas anyone??? Well my sewing room is yellow and lavender and white, but almost anything goes with yellow. 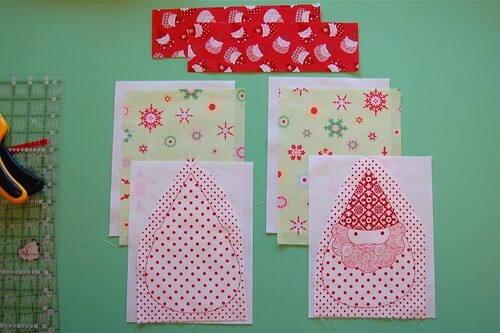 I am anxiously awaiting my order for the Gnome Claus panels from Sewbuzzy. It’s Lime, Fuchsia and Aqua for me! I absolutely love lavender and pale green together. I love all colors but when I am looking for something to put together I always seem to gravitate toward some form of purple and green. I love pink, turquoise and black together- with a little white space of course. I’m a sucker for all things pink and girly and my daughters hate pink, love turquoise so it’s kind of our combination/compromise. 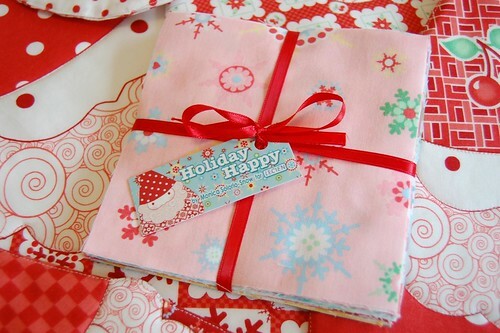 PS- I just caved and spent a bunch of my christmas money on Happy Holiday fabrics! I’m going with the “it’s for gifts”…. but really, who am I kidding? 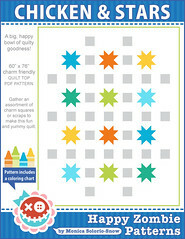 Only gift I’ll be making is for me :) Thanks for the fun pattern today! and that stands for OHMYGNOME!!!!!!!!!!! somebody pinch me cuz i think i’m dreamin’! monica, these are adorable! 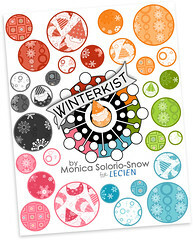 love the aqua and the red snowflake combo…but then i love all of the fabric. Probably hot pink & lime green! My favorite color combination would be purple and blue. Love the little purses. Super cute. Thank you for the tutorial. My favorite color combos seem to change often, but I’m a big fan of pink and brown. Aqua, red, white, with black and/or pink! I really like red & white, or blue & white & yellow, or pink & green. As a kid my 2 favorite crayons were turquoise and fuchsia. Since it’s the holidays, I am digging pink and red together. I have been drawn to chocolate brown lately, so that paired with white and teal, or the right pink, yummy!!! Love this tut!! Already bought additional gnomas to get started! I constantly lean towards pink and green together. You should see the ridiculous amount of pink and green fabric in my stash. Of course, Holiday Happy totally fits my pink and green needs. My Christmas tree is wearing lime green, pink and red this year, and I am loving that! 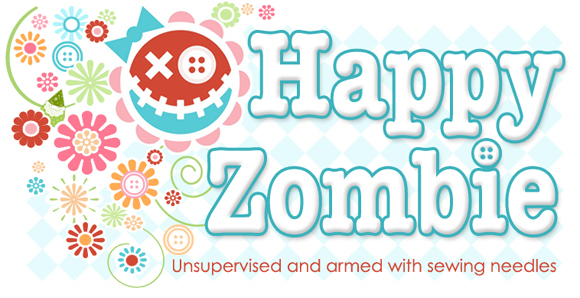 (Wonder why I like Holiday Happy so much, huh?) Oooh, it just occurred to me that I should use some H.H. to make stockings to match the tree…. Am in love with orange: orange with turquoise, red, green and black. That is a tough one. Probably brown and aqua. Or maybe red, black and white. Thank you for the tutorial! I like brown and blue together, but it has to be a light blue because I really dislike navy/dark blue with brown. = ) I can’t wait to see what you will show us next! I love any combination of greens and blues. You can add a little purple into the mix if you want, but mostly the greens and blues do it for me. I love green, pink, and white together. What a cute little bag! I love using pink, red and greens together! Pink and green or purple and green! Thank you for the pattern and the giveaway! Right now I’m loving the turquoise, red and pink together so cute! colors. Together. I always pick the same ones and am so embarrassed about that. Here goes: aqua, red, coral. Or maybe aqua, red, yellow. Or it could be aqua, red, cream. Do you see the trend here???? Blue, yellow and touch of red. 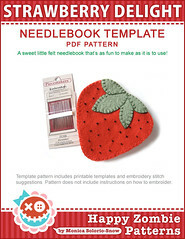 The bag is adorable–like your tiny treats bag in Quilts and More–we had to reorder the magazine several time because people spread the work at how much fun they were to make! I like black & white and almost any bright color together, but if I had to pick just one I’d say orange. Scrappy orange. I love rainbows! that is six colors together right? but all six of them in a certain order and they are lovely. I’m quite fickle about colors through the year. Since my BFF is having a girl, I have a lot of pink/white and pink/brown around right now. Also since I have a boy I have a lot of blue/white around and finishing a quilt for a good friend of mine so there is a lot of pink/silver/cream/black/grey around also….btw, love the lil gnoma bags!! Thanks for all the measurements!! Salmon, teal, and olive in medium shades with cream and a touch of tan and brown. I like pink and brown together! I’m a sucker for red and aqua. Although pink and green is a close second! The bags are so so cute. I’ve always liked pink and blue together - sky blue pink, like a pretty sunset. The bags are too cute. I have a cookie exchange I am going to. These will be perfect for the cookies. Red and (fill in the blank) are my favorites. A traditionalist, Red and gold or yellow or cream have long been my favorites. 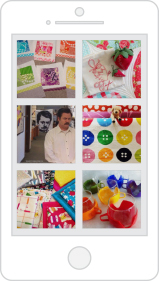 Since meeting your blog, I’ve developed a penchant for Red and sky blue. Go figure. turquoise, magenta, a spash of yellow and organge. love the gnoma bags! They are sooo cute. As for colors combos…reds, pinks, and limey greens. Pretty much anything that goes with red and is bright and cheery. I can never give a simple answer to anuthing, it seems…so I’ll say that right now it is red, soft-and-cheery blue, and brown. What I’m tired of already is seeing non-trad Christmas colors used for Christmas decorations, wrapping paper, etc. Turquoise, lime green, and bright pink? Not for me. red and cream are my favorite fabric colors — but there’s always black, white, and yellow (or aqua)!! I love aqua, pink, red & white together, in varying shades. Choose 3 colours to go together! That’s hard. I think my favourite would be green, burgundy and cream. thinking it would be red and pink. that combo would shock granny but it’s what i REALLY love! I like turquoises with chocolate browns. I also like blues mixed together. But sometimes when I’m in the store I can get so easily distracted by other bright colours. I love them all! I LOVE pink and white, but also love red and aqua. I just love color!!! And thank you SO much for sharing all these little goodies with us, Monica! YOU ARE THE BOMB, Sister!!!! OMG!!! That is just too cute! OK. I’m ordering fabric right now. Yellow, aqua and pink for me. I think I may use these instead of stockings for my adult kids this year. Creamy yellow and chocolate brown. I want to redo my living room with it! PS Any hints about who stocks the panels? I’m not finding them at a number of the online stores and the one I found who stocks it is out. I so wish I knew more… all I have is the list I have on the “shop” link at the bottom of each post. If you find more shops that carry Gnoma/Holiday Happy - I’d love to know and will post it. Thanks bunches! Love blue and teal, but lately loving orange and turquoise….too many colors to stay with just a couple! These are AWESOME project, M! My favorite so far is the pot holders. Red and Black! I love your poochie bags, my panels are reserved for something else so I probable need to get more! My favorite colors together are yellow, blue and green. Thanks for all the great holiday ideas. I’m going to make several of them! I love lavender and cream together. Love your ideas! I do love lime green and blue together! I also love your fabric designs! pink and black (polka dots preferred)! at the moment i am very into aqua, lavender, pink together with bits of red. it was sparked by a diagram drawn with highlighters in my office and it stuck with me since. Oh that’s a hard one - I love bright and blended and soft and muted, but if I have to choose - it would be Chocolate Brwon, with softest pink and perhaps a touch of creamy white. For Christmas though it is red and white all the way, with a touch of Spruce green and silver (sorry that is 4 isn’t it - a splash of Aqua though would bring it bang up to date). This is all out sitting on my cutting table waiting to be made…..can I stop the clock so I can make these right this moment? Dang. Stomping and screaming at the clock isn’t working. These are so cute! I love dark pink, orange, red, and purple together. I didn’t really realize this until I saw I had several shirts, tights, and pieces of jewelry with this combo. I like aqua with red and pink… or aqua with brown and white. More than CUTE.. CUTIER THAN CUTE…. as in STINK CUTE!!!!! bet not a bolt of that is left in any store! When I am in a happy mood I can’t resist pink & green! My favorite colors are hot pink,neon green with black and white accents. Gets my creative juices flowing to work in such bright colors. Though I must admit, I really like your gnome colors…tooo cute. I’ve always loved chocolate brown and pink together. Also, turquoise, pink, and a minty green bring a smile to my face. I love cranberry, dark blue and dark cream together when I am making something for my home. I like bright happy colors together like peach, teal and white when I am making things for kids. All is just too cute!! !